Tarot is a popular form of divination that has been used for centuries. By following the guidelines set out in this book, you will come to understand how easy it is to master the art of reading cards. Many people struggle with the many different tarot books available today�they can be difficult for the novice to follow, and many present differing interpretations of the cards. 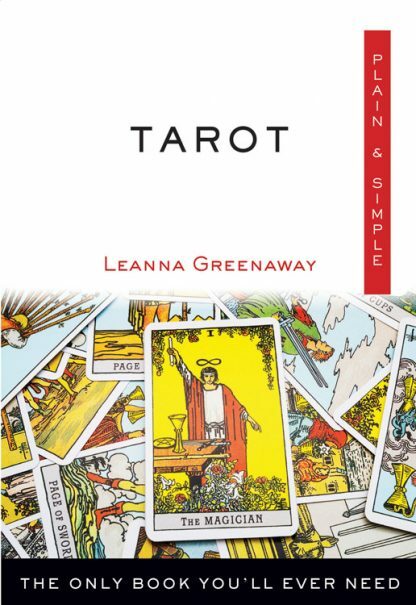 This guide brings tarot into the 21st century, making the card meanings relevant and easy to understand and follow. Tarot Plain & Simple offers modern and up-to-date interpretations for all 78 cards. Once you know these basics, you'll be able to easily branch out into more advanced and complex tarot books. Throughout this plain and simple book, the author discusses various card groups for interpretation, focusing mainly on the Celtic cross spread. Leanna Greenaway has her own monthly column in Take a Break�s Fate & Fortune magazine. As their resident witch, she answers reader's questions and offers quick and easy spells to combat problems. She is the author of Practical Spellcraft and Wicca Plain & Simple and the cofounder of the Psychic Study Centre. She lives in the south of England.